Our last post focused on how workplace gamification can encourage your staff to competitively exceed their targets. Gamification is not just about rivalry though, and there are several ways it should be used for workplace support and collaboration – we’ve outlined three suggestions below. In video games, “rewards” range from a happy bleep for passing a checkpoint, to acquiring a new skill after completing a difficult level. Both examples demonstrate textbook positive reinforcement, and encourage the player to keep progressing. 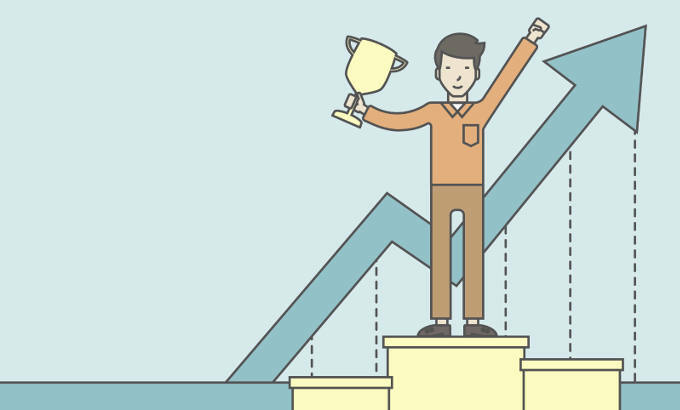 Borrowing this continuous reward system for your workplace similarly motivates employees to frequently go the extra mile, assuring them that their hard work is recognised. To implement this, you first have to first make the employee objective clear – for example, meeting a deadline particularly early, or undertaking extra training. Make it clear whether the prizes are available for an individual, a particular team or multiple departments. Online forums almost always use a points system for distinguishing valuable contributions. These points are usually attributed by other members of the community, reinforcing a sense of peer-approval and collaboration. Bring this into your company culture by creating an endorsement system. Instead of a management-appointed “Employee of the Month”, let staff vote on which of their colleagues they feel is most deserving of recognition. You can take the pressure and politics out of this process by using a CLiKAPAD electronic voting system to keep polls anonymous. Not only will the system be democratic (encouraging all staff to strive for success), but show the level of team-support within the company. Another gamification tactic found in forums is awarding badges, which visibly promote a member’s achievements. These can be for longstanding membership, hitting a milestone or proving knowledge about a particular topic. It’s an ego-boosting device that recognises expertise, loyalty and commitment. Obviously, these things are all beneficial for your company, so why not add a “badge” feature to employee intranet profiles? Not only is it a free way to recognise staff dedication, it also flags their skillsets to other members of staff. In practical terms, it means that the next time you need help with the CRM system or an excel formula, you can look up the nearest person with the software experience you need to help. They can enjoy the experience of sharing their knowledge, and you get to learn something new instead of sitting around and getting frustrated.